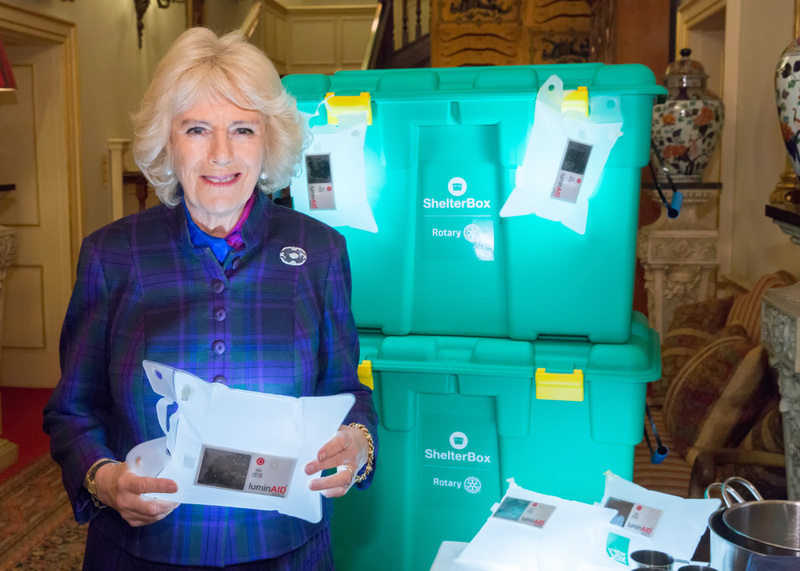 Santa Barbara-based Kerri Murray, President of ShelterBox USA, attended a special reception at Clarence House in London on Feb. 8 hosted by HRH The Duchess of Cornwall for ShelterBox, an international disaster relief charity which Her Royal Highness became President of in 2007. 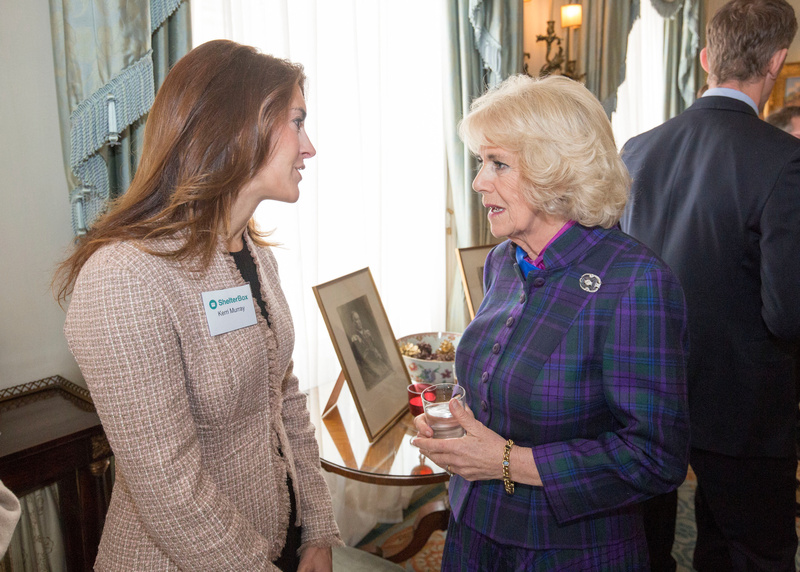 (From left to right) ShelterBox USA President Kerri Murray talks with Her Royal Highness The Duchess of Cornwall at a special reception for ShelterBox. Photo by Ian Jones. During the reception. Murray and HRH spoke at length about the recent fires and mudslides that devastated Montecito, California. “The Duchess told me about her fondness for Santa Barbara, having spent time here years ago, and asked me to relay that she and her husband, Charles, are sending along their thoughts and prayers for the Montecito community,” said Murray. Camilla, The Duchess of Cornwall, first learned of ShelterBox while on an official visit to Pakistan in 2006. 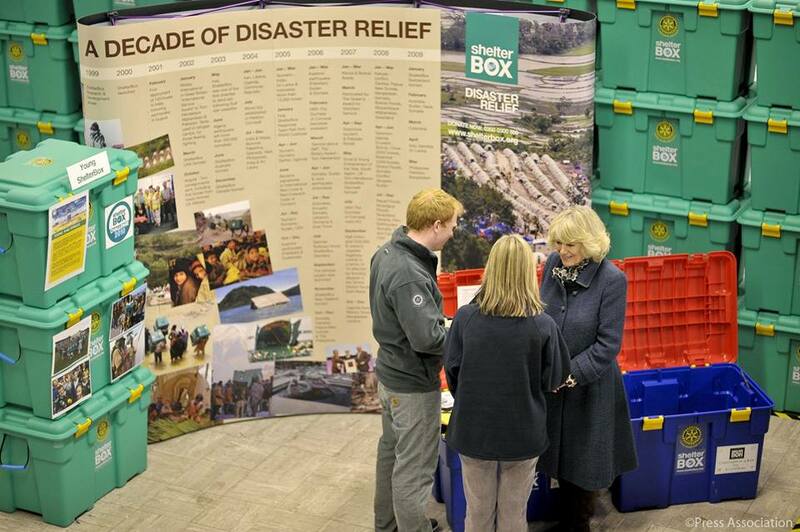 The Duchess was interested in ShelterBox’s work helping families who had lost their homes in the Kashmir earthquake. Her Royal Highness then became ShelterBox’s President in 2007. The site of the reception, Clarence House, is the official residence of The Prince of Wales and The Duchess of Cornwall. For 50 years it was the home to Queen Elizabeth, The Queen Mother. ShelterBox delivers humanitarian aid that helps families recover from disaster by providing shelter in specially designed, weather-resistant tents, solar lights, water purifiers, and basic items to help set up household after disaster. The organization primarily works in vulnerable communities devastated by natural disaster and conflict situations, including, the Haiti earthquake, the Syrian refugee crisis, in the Caribbean post-hurricanes, and in Rohingya refugee crisis in Bangladesh. Recently, ShelterBox USA provided their totem boxes in Montecito after the mudslides. They were used to hold the personal effects of residents beginning to return to their homes to sift through the mud for belongings.